President and Chief Executive Officer, Aspen Avionics, Inc.
View a video of John Uczekaj’s testimony. Chairman Graves, Ranking Member Velázquez and distinguished members of the Committee, I appreciate the opportunity to appear today to discuss the impact of the FAA on small businesses in the general aviation industry and want to thank you for your holding this important hearing. As a leader of a small business, I look forward to highlighting some examples of the impact specific FAA policies and internal organizational structures have on small aerospace businesses. My name is John Uczekaj and I am president and chief executive officer of Aspen Avionics located in Albuquerque, New Mexico. 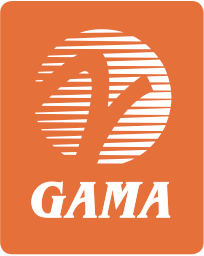 I also serve as a board member for the General Aviation Manufacturers Association (GAMA), with a leadership position within GAMA as chair of their Flight Operations Policy Committee and am honored to provide testimony to the Committee on their behalf as well today. Finally, as an instrument-rated pilot and aircraft owner, the opportunity to testify before this Committee is especially significant to me. In 2004, Aspen was founded by two aviation enthusiasts with a mission of designing and manufacturing the most advanced avionics technology and capability for general aviation cockpits at a price that was affordable to small aircraft owners. Aspen Avionics’ products increase a pilot’s situational awareness in the cockpit, support the implementation of NextGen technologies, and reduce pilot workload, making it easier and safer to fly in both visual and instrument conditions. In 2008, Aspen Avionics began delivering FAA certified, ground breaking technologies to the lower end of the certified general aviation industry. These products included simplified lower cost installation architectures, flat panel displays, three dimensional terrain awareness, battery backup, and NextGen capabilities. Prior to the entry of Aspen Avionics into the market these certified technologies were too expensive for a large portion of the general aviation fleet and were reserved for higher end aircraft including business jets and commercial air transport aircraft. Since that time over 6,000 of our Aspen systems have been installed into general aviation aircraft worldwide, which is a testament to our company, our employees and our product’s capabilities. With just 47 employees, Aspen’s entrepreneurial spirit is key to its success. Also key is the discipline we must have in managing costs and delivering a return to our investors. The company is guided by a Board of Directors, whose investment in Aspen is made with the expectation of a profit in the future. In order to keep costs low for our customers we operate on tight margins. One of the biggest challenges we face as a small business is response times for FAA approvals. Each week, small aerospace businesses like Aspen are losing hundreds of thousands of dollars due to approval delays from the FAA. In recent years, when a small business begins the process of developing a certified product it must submit to a sequencing process by FAA of certification projects. The process is unpredictable and often results in increased product development times and costs as companies develop the product and wait for the FAA to apply resources. Once through the sequencing process, companies must deal with a lack of clarity in expectations and inconsistency between certification offices in different regions and within individual offices at FAA. This is a major barrier to success and often survival. Various offices interpret guidelines differently. More importantly, even within a certification office, procedures followed on previous programs are implemented and interpreted differently on later programs. FAA has proposed changes to the sequencing process but the totality of the entire process and the threat of costly delay remains a real concern for our company and many others. Changes in personnel in the middle of a program further exacerbate our problem and are compounded by agency personnel adding or changing tasks at the end of a program with great impacts. Aspen specifically has been affected during a recent program where additional work levied late in one program resulted in unplanned, increased costs and a resulting loss of 13 high paying quality jobs (20% of our overall workforce) in October 2013. Imagine this outcome, multiplied by hundreds of small aerospace businesses who experience this on a regular basis. 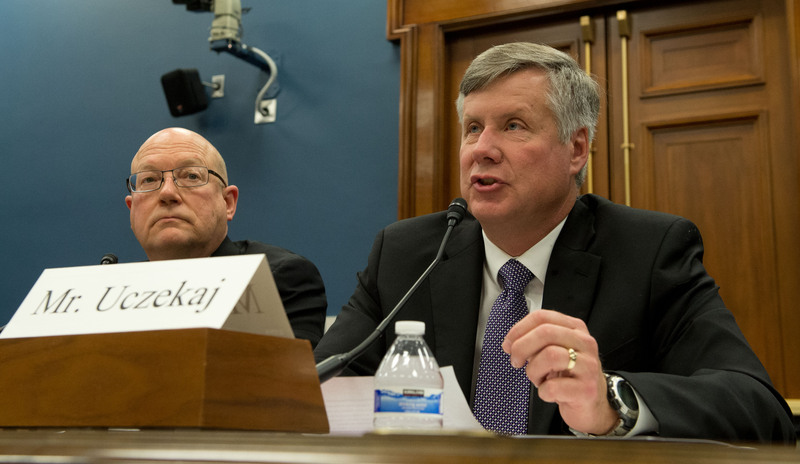 The money saved by instituting clear procedures, consistent training, and detailed certification guidelines to FAA personnel would boost productivity, grow the industry, and secure jobs. As a small business Aspen Avionics also has raised private capital for investment in new products. Our inability to accurately plan our tasks associated with certification is a major disadvantage for companies of all sizes, but particularly for small business like mine. We need to account for these inefficiencies in our cost projections, thereby lowering our potential returns and making it very difficult to draw the interest of financial investors. To be successful, businesses, and in particular small businesses, need to clearly understand the tasks and be able to expect the FAA to respond in a timely fashion. Certification plans provided early in the process need to be approved and followed without new requests being levied late in the program. This will allow us to plan our tasks, execute them, and keep costs down, bringing safety critical products to the market on time and at affordable costs. Many companies like ours are developing new and innovative solutions to meet FAA NextGen mandates to equip over 157,000 aircraft facing a January 1, 2020 deadline. These aircraft operators will have a limited time to schedule and complete these avionics upgrades. While 2020 may seem like a long time from now, current delays in the certification process shortens that time period exponentially. In my opinion, accelerating the efficiency and response time for approvals is one of the top issues we must work together to solve. If not addressed soon, certification delays for NextGen avionics will become overwhelming and the significant investment in the ATC infrastructure could be compromised. With Congress, FAA, and the private sector working together, we can address NextGen equipage effectively and make the overall program a success. Urgent and real safety benefits can be delivered if we invest the resources and develop the approvals and guidelines to speed up the certification process. One crucial way to address these issues, particularly for larger companies, is through the establishment of Organizational Design Authorities (ODA). The cost, however, of supporting an ODA for a small business can be prohibitive. Aspen does employ and contract with some of the most experienced Designated Engineering Representatives (DER) in the country for systems, flight test, software, and structures at great expense. Many of these individuals have over 35 years of experience. In addition, the senior members of our company have similar levels of experience in avionics development. We hire such capable individuals to ensure our products meet and exceed the requirements of the most stringent regulatory procedures. We have a vested financial interest to ensure our products are safe, reliable, robust and perform as promised. Our success depends on it. The success of our competitors depend upon it. Likewise, we also understand that the FAA is working under increased fiscal pressures. With limited resources it is even more critical that we leverage the expertise of companies like Aspen to improve safety, drive innovation, and improve certification efficiency. Delegation to companies like Aspen that have invested in experienced and industry-respected DER resources is a viable answer for our businesses and the FAA. We encourage the FAA to make more consistent use of this very valuable tool to ensure safety and the viability of innovative small businesses in aviation. I also propose we look at ways in which we can work together to grant some sort of airworthy certification authority for small businesses to help “cross the finish line” and speed up the certification process. People in small businesses like ours, and especially those that work in aerospace, have a passion for the industry and work in this business because they want to – not because they have to. To help alleviate the workload, aligning the division of responsibilities and the authority properly is essential to ensuring the vitality of aviation small businesses and the advancement, growth and safety of general aviation. Such creative thinking and collaboration is exemplified by the Small Airplane Revitalization Act which was signed into law by President Obama in late November. On a bipartisan basis, members of Congress came together and passed legislation which will improve safety, encourage innovation, and promote growth in aviation. A legislative focus on small businesses in aerospace could result in similar benefits. From an Aspen Avionics perspective, another wonderful example of this collaboration is the NextGen GA Fund. When Congress passed the FAA Reform and Modernization Act of 2012, they included Section 221 to incentivize GA equipage through use of a public private partnership (PPP), where 100% of funding for low interest loans are underwritten by private sector investors. The PPP, called the NextGen GA Fund, is ready to launch and we are optimistic about its impact on the industry. Just announced last week, Aspen Avionics is the first small business to support this important initiative. I only mention this as an example of the ways we can work on together to help small businesses in the aerospace industry to continue to contribute to an important part of the country’s economy. It is my opinion that this is what government should be doing to lift general aviation as an important economic sector. Thank you for the opportunity to testify about how my small business interacts with our regulator, the FAA. I want to be clear, we appreciate their work, dedication, and attention, but also believe there are opportunities to improve and reform their efforts to maximize benefits, improve safety, and allow small businesses like Aspen Avionics to flourish. I look forward to discussing this further and would be happy to answer any questions you may have.